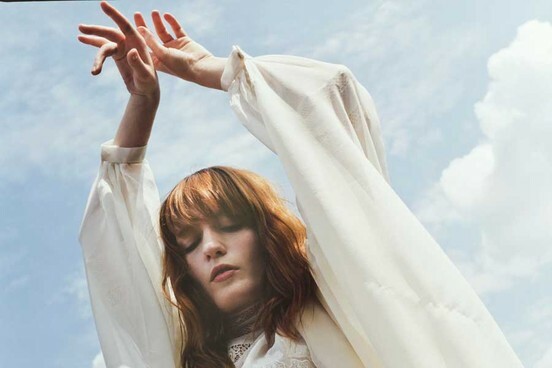 Florence + The Machine's new album Ceremonials finds them in a very different place than their last EP Lungs. After conquering the indie world first then crossing slightly more into the mainstream with their star-making performance at the VMAs, there was some considerable pressure on the group (consisting of 25 year old (!) Florence Welch and an ensemble of band members). Luckily for us, songs like this jamandahalf follow step by step in the rich line of previous jams like "You've Got The Love" and "Dog Days Are Over." "Shake It Out" is nothing if not triumphant. Coming close to sonically encapsulating a primal fist pump, "Shake It Out" talks about an emergence from the dark, about putting the past behind you. Powerfully backing the lyrics, Florence's vocals are up for the test, and she positively sounds more alive then ever. I could go on and on, but I'll leave this one with a quote from Florence herself. Enjoy.